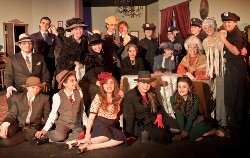 A view of the actors and crew of the MDS production of "Arsenic & Old Lace"
From April 7 -10, 2011, the AGBU Manoogian-Demirdjian School’s Senior Drama Conservatory students performed the dark comedy classic “Arsenic and Old Lace.” The play was directed by Adrianne Alvarez-Jackson and the dance sequences were choreographed by Katie Miller. The set design was created by Todd Szabo and the costumes were professionally done by Valentino’s Costumes. 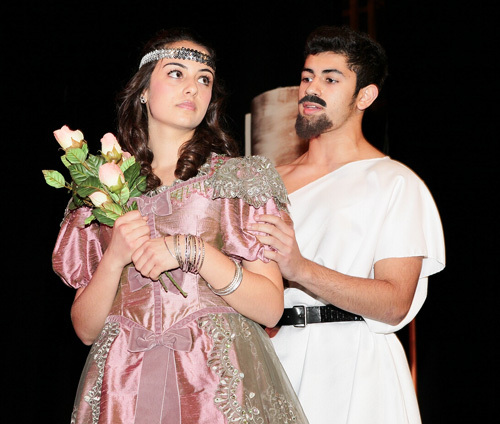 The AGBU Manoogian-Demirdjian School, located in Canoga Park, California, was deeply satisfied with the amount of support from the teachers, administration, and community members, who all came out to see the performances over the weekend. From September 10-12, 2010, the Cultural Committee of AGBU Montreal presented Yerevan’s Henrik Malian Theatrical Troupe, which performed three different plays over three consecutive nights at Vanier College in Montreal. Narine Malian, the director of the troupe, which is composed of 15 members, is the daughter of Henrik Malian (1925-1988), prominent Soviet-Armenian film director and writer, who founded the Henrik Malian Theatre of ArmenFilm Studio in 1980. The first performance, on September 10, was William Saroyan’s “Stories on a Train.” A welcome speech was given by Harout Kumruian on behalf of AGBU Montreal’s cultural committee. Following the performance, special words of thanks were delivered by AGBU Montreal Chapter Chairman Armen Bechakjian, who acknowledged the sponsorship of the Armenian embassy in Canada, as well as the financial support of Hovig and Dzovag Gebenlian. He noted that Armenia’s Ministry of Culture and the municipality of Yerevan had assisted in making the tour possible. 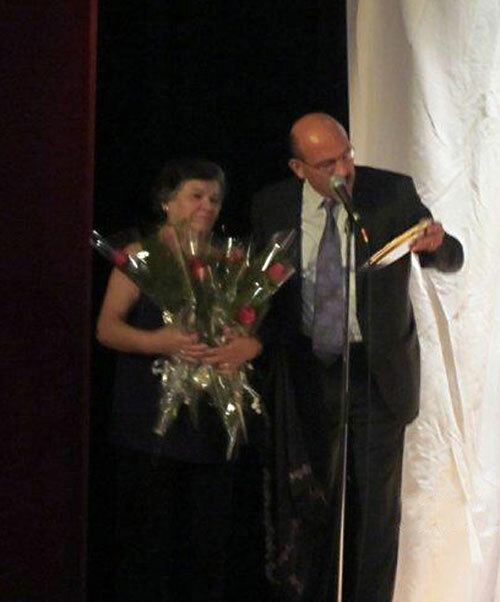 Bechakjian also expressed his gratitude to the Cultural Committee and highlighted the dedicated service of its chairwoman, Arsineh Attarian, who received a plaque and certificate of appreciation from the Executive Committee, handed to her by the Armenian embassy in Canada’s Chargé d’Affaires Arman Akopian. The tales remained true to Toumanian’s writing, while showcasing the late Henrik Malian’s incredible talent. The production was – at first glance — quite simple, without even a set to speak of. The actors simply had four or five large decorative cloths that were quickly transformed, from one scene to the other, into a wall, a bed, a judge’s desk, and even a horse! But who had time to look at the set anyway? The actors were all so energetic, the performances so fluid, and the physical comedy so hilarious that the whole stage looked full at any given moment … It was, quite simply, a flawless performance. But it was more than that still. The production, so modern and dynamic, yet so familiar and nostalgic at the same time, left me convinced of Toumanian’s timelessness, of Malian’s genius, and of the boundless talent and resourcefulness of our artists. Cultural Committee of AGBU Montreal Chairwoman Arsineh Attarian, honored for her dedicated service by the Executive Committee, and AGBU Montreal Chairman Armen Bechakjian. On Thursday, September 16, and in cooperation with AGBU Sydney, AGBU Cairo has organized a theatrical evening presenting Nubar Gharibian’s “Shevaradz Pesatsoun”; a three-act comedy play performed by AGBU Sydney’s Vahram Papazian theatrical group. The entertaining and comic play was held at a packed Belekdanian Hall which hadn’t witnessed such a presence since quite some time. The story of the play, which was written, acted and directed by Nubar Gharibian, a former Armeno-Egyptian, was about an Australian businessman who travels to his native country Egypt, then to Armenia in search for a bride. 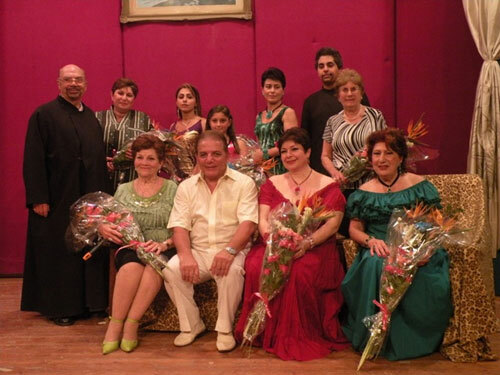 Along with Nubar on stage were Hovhannes Kouyoumdjian, Vartiter Nersesian, Sona Ohannesian, Seta and Anna Bilboulian, Zevart Semsarian, Liana Barsoumian, and Roupen Aslanian. The technical director was Suzanne Serdjararian with the assistance of Caroline Arslanian. To view additional photos of the event, please click here.